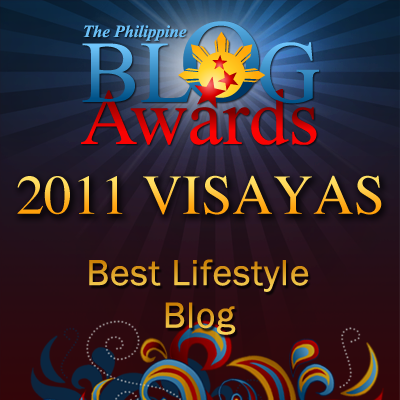 Random Thoughts of Gil Camporazo: Birthday Tribute: Why We Are Here? Birthday Tribute: Why We Are Here? This is a poem I composed while I was taking a break inside my office in the school as a tribute to Ma'm Rosario R. Arranguez, district II supervisor as she celebrates her 61st birthday anniversary, that will be held at the learning resource center of La Carlota North Elem. School. The district II which I belong handled the afternoon birthday party. 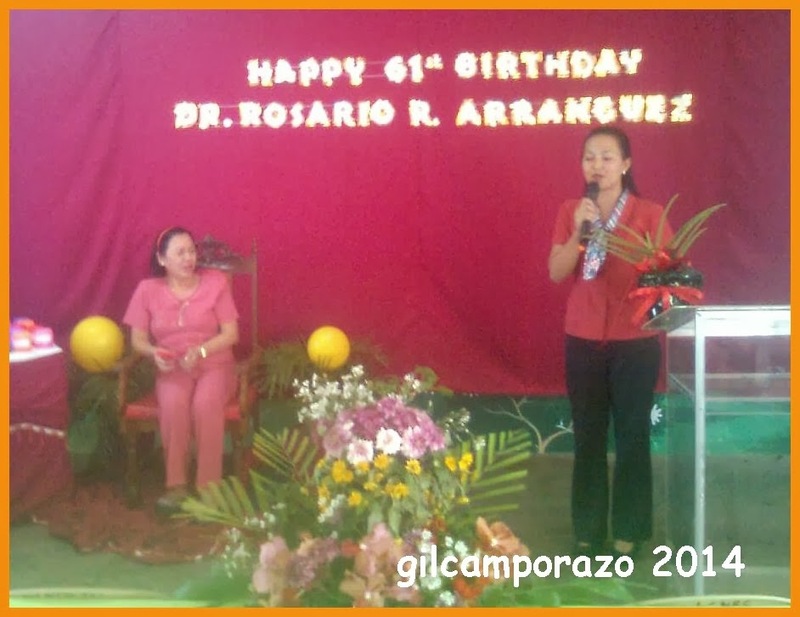 The first part of the simple program commenced with a photo slide presentation as a glimpse of Ma'm Arranguez's happy days as a classroom teacher, as a principal and as a supervisor with the background music of 'Those Were The Days". Then it was followed by the giving of 7 treasures by the special education integrated school teachers to Ma'm Arranguez, then by 7 roses given by school heads of three districts as they danced with the celebrant while handing in a stick of red roses. Another ceremony was lighting of candle done by a representative from District I, II, III, Administrative, education supervisor, and the Division represented by the schools division superintendent with their respective wishes. "Why We Are Here" was written by me in a spur of a moment based in the acrostic ROSARIO. "Go ye and multiply", my sisters, my brethren. For He’s with them, their loving and caring God. To be faithful, obedient, one and all. In all their dealings and won’t be sad. Eternal happiness, their heart will swell. For God, their Savior has the answer as final say. As they value God’s pure love in them. And realizing the pure love of Christ, without questioning. To all kindred, tongue and nations, loud and clear. In my part, I did it by singing a line from the song, "I Wish" popularized by a local noted late male singer, Diomedes Maturan. The line I sang, "I wish that you're with us, when we were lonely. I wish that you're with me, when we were sad..." and continued saying that she should stay as sweet as she is forever and ever. The party was over. Everyone was full. Everyone was happy. Ma'm Arranguez was so thankful for the attendance of everyone, for their support and well wishes. 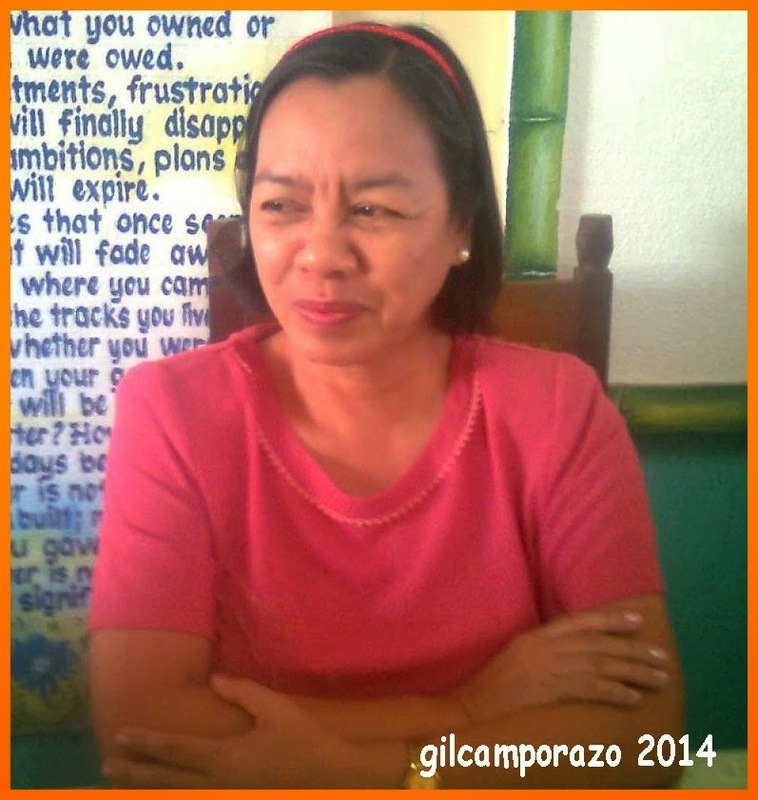 Ma'm Arranguez, happy, happy birthday!